I joined the griddle club. I got a Blue Rhino. 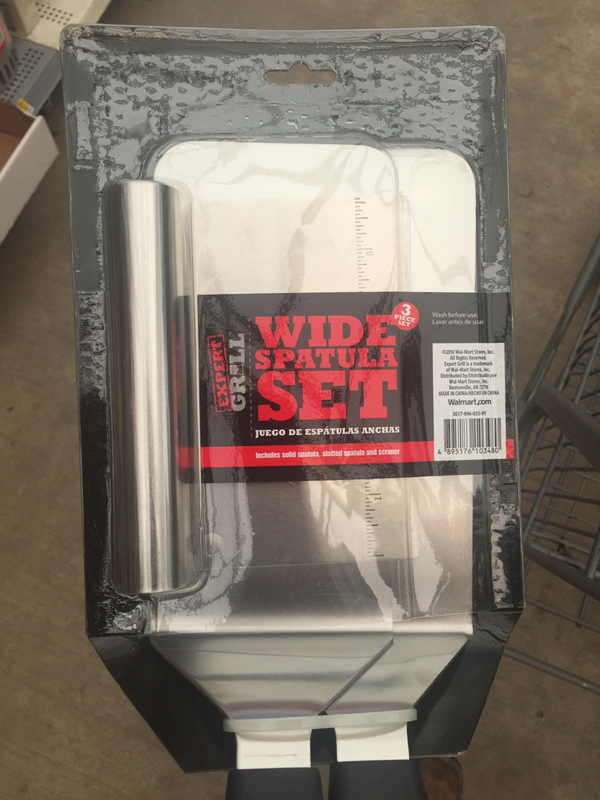 Looking for info on the best spatula and scraper. I have seen the black Stone kit on amazon but wanted to know if they were good quality. Would like some good heavy duty ones. Anybody have good reviews on some? 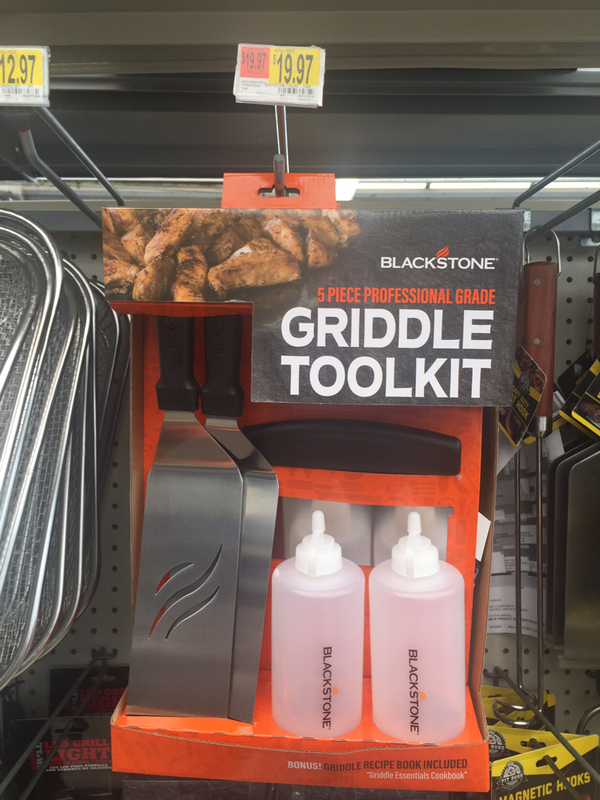 I have the Blackstone spatula set and I don't really like them... They're pretty flimsy. I'd try to find stiffer ones if I were you. Bought a new 36” for opening weekend. Burners seem to be putting off a smaller flame than I’d expect and griddle took forever to warm up and never got really hot like I’d expect. Brand new LP canister. Anyone have this happen? Is there something I’m missing or did I screw up on the assembly somehow???? First thing I did before I ever used my 36" Blackstone was to put a 20 psi adjustable regulator on it. You can turn that griddle cherry red if you want with that adjustable regulator... Just do a search on Amazon for 20 psi adjustable LP Gas regulator... Or you can look back in this thread. That's where I learned about them. Sounds like it is the new safety regulators. They have to be hooked up a certain way and the valves opened a certain way or they restrict the pressure. I think the reset procedure goes something like turn off the propane bottle. Wait a minute or so. Turn off the burners. Wait 5 minutes. Rehook up bottled and turn on. Turn on burner and light. Should fix it. I have the problem occasionally when I change propane tanks. Google the issue it is fairly common. Thanks for the help, I’ll give that a shot. You Blue Rhino guys, I read a few reviews that indicated the grease trap/pocket got really nasty as the grease or at least some of the grease did not make it into the cup. Have ya'll found this to be the case? It all goes in the trap. There is some build up in the hole that funnels the grease but it is easy to clean. Cleveland Walmart has some good products for us griddle heads. This ^^^ is a breakfast kit. These ^^^^ I bought. They are more heavy duty than the blackstone ones. I keep coming back to this thread. The wife and I have been looking at getting the 36" and just replacing the grill. Bazo, if you'll stay out the woods long enough to go get one, you won't be disappointed!! You can’t go wrong! I have the 28” for home and the 22” for the trailer, perfect for the 2 of us. That's what I did a few years back when my propane grill bit the dust. 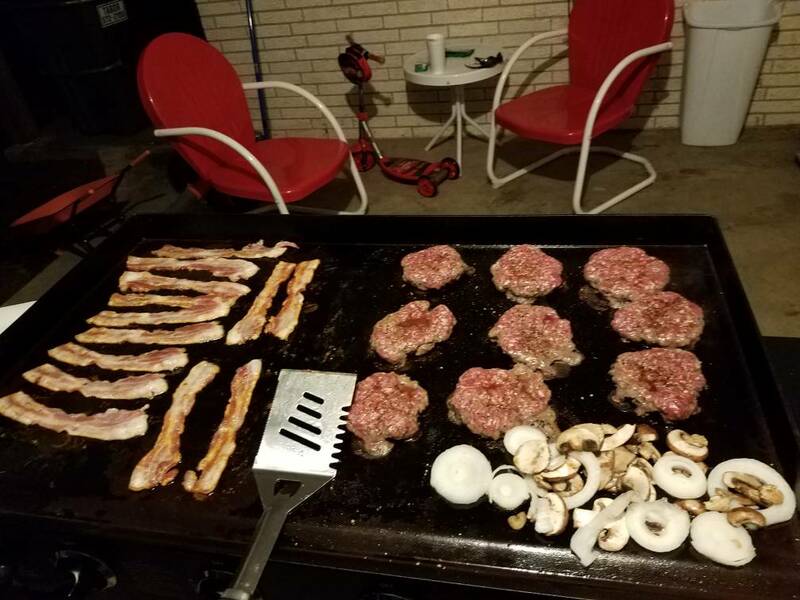 I have a charcoal grill if I need it, but 99% of everything I do can be done on the griddle. Funny you say that. I went yesterday evening to fill the feeders at that stand to give it a couple weeks to rest and ended up on another 45 minute I hope I find him walk. Yea, been there, done that too! It ain't no fun! Do you get the flavor from the griddle that you do a grill? Actually better on burgers and such once you get your griddle seasoned in. Why do you think Whataburger patties are so tasty? If I want a big thick steak, I'll put it on the charcoal grill with mesquite to get flavor. You can still do thick steak or chicken on the griddle and finish up in the oven. Biggest thing is I can cook several things at one time and items you could not do on the grill. Things like fish, breakfast, rice, vegetables, etc are much easier or able to do on the griddle. Anybody able to cook tender fajitas on the griddle. I made some tasty boot leather tonight. Are you doing the meat yourself? Might need to add something to the marinade to help tenderize it. Pineapple juice or something. The local Mexican meat markets have it plenty tender. No problems on the griddle. NannySlayer, it can be made good as new. There are tips on the Blackstone website I believe for cleaning them. YouTube also. Just clean and reseason and you're good to go. 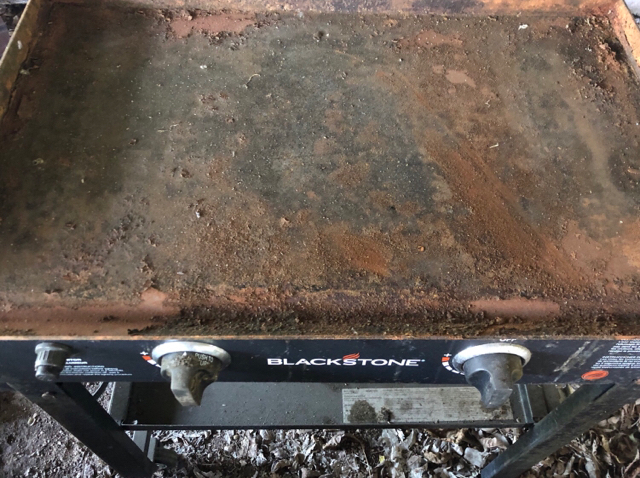 patiently waiting on the 36 inch Blackstone Stainless to go on sale somewhere. 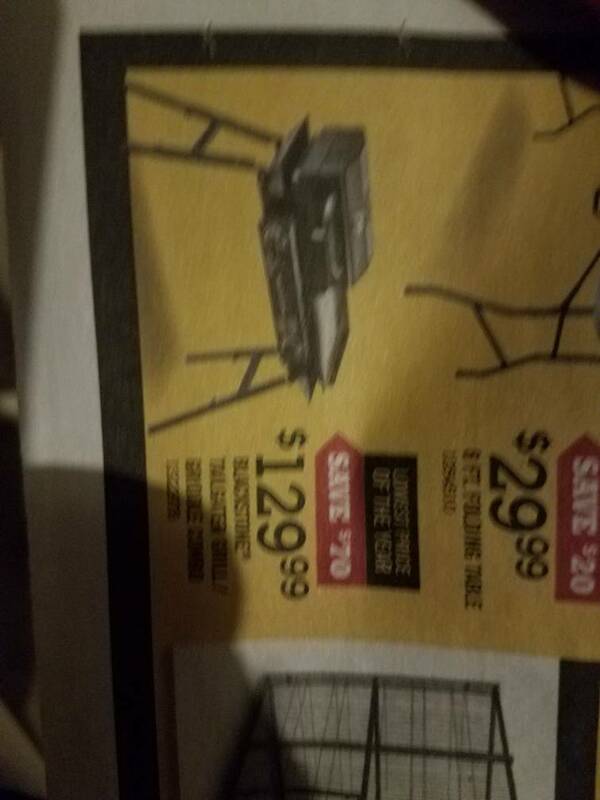 Home Depot had it $269 weeks ago. I shoulda jumped all over that. Well my first deer of 2018 just turned into a rare venison steak. 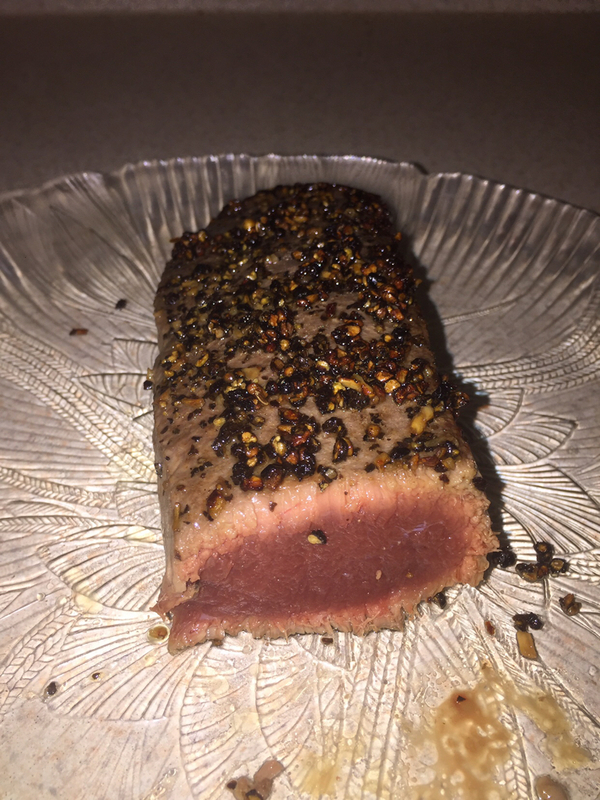 Trimmed the backstraps and "warmed" them on the griddle. That looks good!!! Just about how I do them, only on a sear burner on the gas grill. I think that chicken feed, is mostly black pepper. But if it was chicken ****, I'd scrape it off and eat everything else! Ended up selling my 36" and went with this. 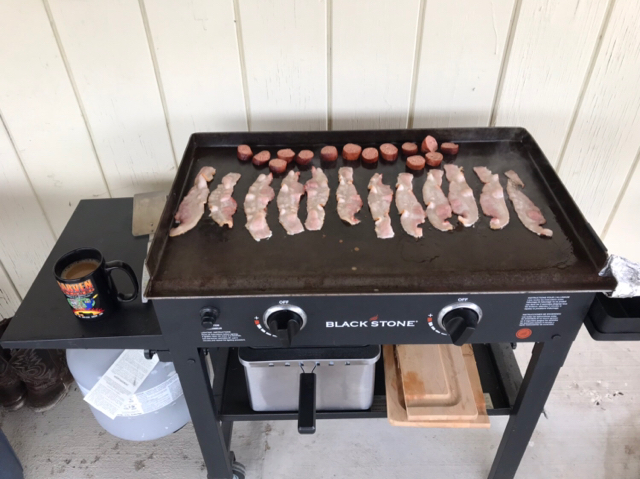 Still wanted charcoal, but loved my griddle. Used mine on Saturday morning. 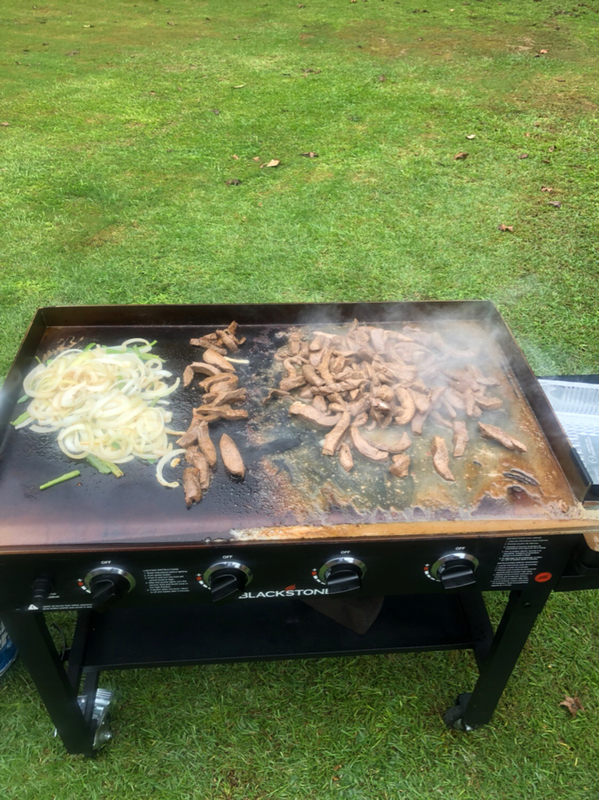 Did Red Deer smash burgers for the kids on Saturday and Sunday afternoon, cooked me n mamma a couple of MAGNUM T-Bones with zucchini n onions from the garden... A good feast was had by all!! Can't beat those smash burgers! I picked up the 36” Blackstone this evening at Walmart for $237. 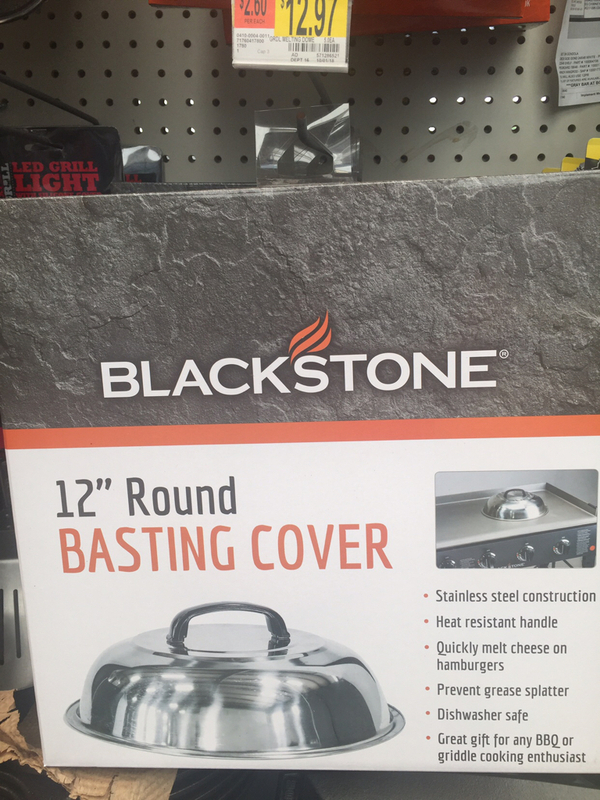 I also got the cover, a spatula set (one listed in the pic above) and the basting ring. Picked up 2 new propane tanks as well. 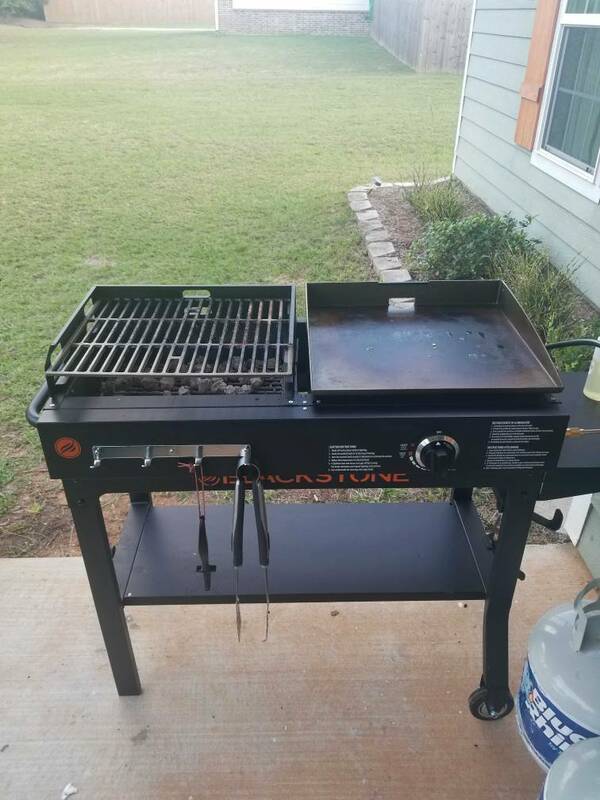 I’ll get it all set up in the morning and ready to cook. The first cook will be 3lbs of Wright’s thick cut bacon. 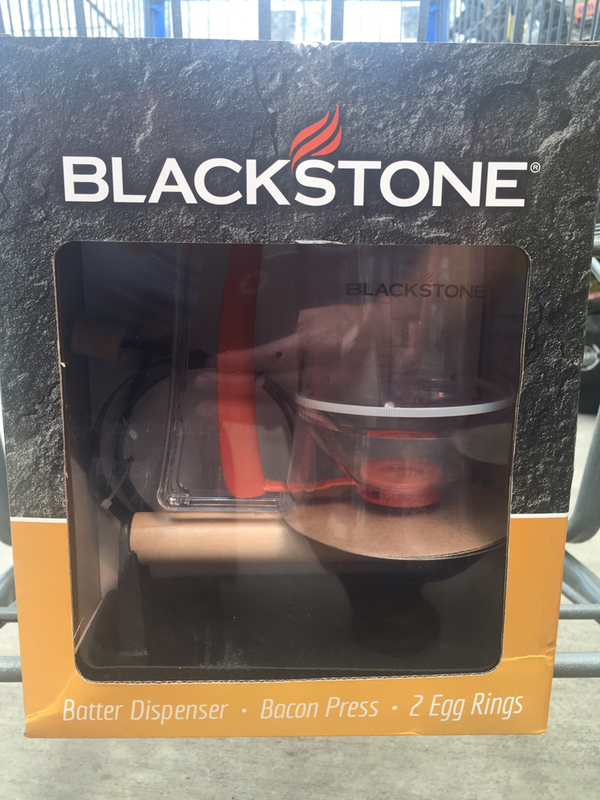 I just bought the 36 inch blackstone for $247 delivered. Wanted stainless but ebay kept having faulty sellers and wasn't gonna pay $369 for it. Is that a 28", Matt? Do the two burners heat it well? I think I'm gonna cut a bigger hole in countertop on the back porch and try to build one of these into it. Yes sir. I’ve never used the 4 burner model, but this one cooks well even when it’s windy on the porch. We made dove fajitas a few weeks ago. Marinated dove breast fillets in Claude's for about 3 hours. They were fantastic.